We can cross 1 1/2 things off of our Sand Pail List for the summer now. #6 and half of #5 is now done! 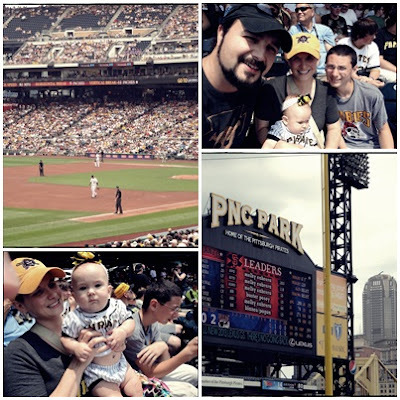 Last Sunday we went to our first Pirates game of the season. This was also baby girl's first Pirates game ever, and she was all decked out in her black and gold! I was so glad that we finally got to go to a game. I know it hasn't been easy for my husband this season. He has been a HUGE Pirates fan since he was a kid, and most years he has had some kind of a season package deal. This is his first baseball season in a while that he hasn't had one. 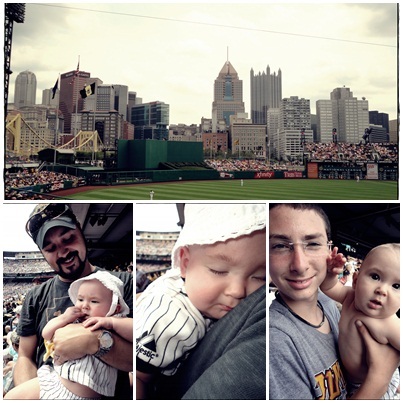 My husband really enjoyed introducing our baby girl to Pirates baseball. I am sure this will be her first of many, many games with her Daddy. 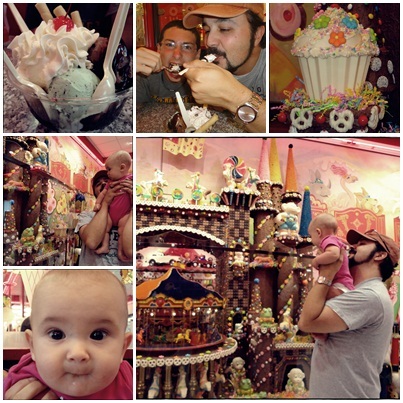 *A Sarris Candies stop was supposed to be part of our trip to Kennywood, #5 on the list. To read our entire Sand Pail List for the summer and for all other Sand Pail List updates, click here. I would love to see a baseball game! That candy store looks amazing, I wish I lived near one!